Overall, I found the film somewhat dull. But I totally expect Glenn Close to be on everyone’s early list for a possible Oscar nomination. She manages to radiate a quiet reserve, dignity, humor and pain in a performance that outshines the film itself. The Happytime Murders is not the worst movie of the year. But there’s still very little reason to see it. It’s a filthy comedy set in the underbelly of Los Angeles where puppets and humans co-exist, though puppets are treated like second-class citizens. Melissa McCarthy plays a human cop who is forced to join forces with her puppet ex-partner Phil Phillips, a disgraced LAPD officer-turned-private detective. They must work together to solve the brutal murders of the former cast of a beloved classic children’s show, “The Happytime Gang.” The movie, directed by muppet creator Jim Henson’s son Brian (The Muppet Christmas Carol, Muppets Treasure Island) strives to be an adult comedy in the vein of the 2016 raunch-filled animated flick Sausage Party, but it fails. Sausage Party was disgustingly funny and clever; The Happytime Murders is disgusting and lame and feels way longer than its 90-minute running time. And don’t let the puppets fool you – or the kids. This is rated R. NOT FOR KIDS. My suggestion: Skip this movie altogether and gather the family for a marathon of classic Muppet Show episodes instead. Skate Kitchen tells the story of an introverted teenage skateboarder from suburban Long Island who meets up with an all-girl, multi-ethnic skateboarding crew in New York City called Skate Kitchen. The film is the first narrative feature from Crytal Moselle who directed the documentary The Wolfpack. Skate Kitchen has the authentic and raw vibe of a documentary, in part because most of the skateboarders are non-actors playing versions of themselves, especially lead character Camille (newcomer Rachelle Vinberg). The only actor with name-recognition is Jaden Smith (The Karate Kid, The Pursuit of Happyness) who skateboards in “real life” and was an avid follower of Vinberg’s Instagram page that featured clips of her and other gals doing their shredding thing. The skating sequences are the best part of the film. The rest is somewhat typical teen camaraderie, self-discovery type stuff, and all that comes with it – boy problems, girl problems, family issues, heavy-duty makeout sessions, smoking pot, and taking risks at an age where you feel invincible and don’t have many responsibilities. Support the Girls is an okay indie that I wish I could support more, except that it had no business getting labeled a comedy. It’s not. It’s a slice-of-life drama about Lisa (Regina Hall), the general manager of a highway-side “sports bar with curves” called Double Whammies that also claims to be a family restaurant. Think “Hooters” meets “Applebees”. Lisa is a fiercely-protective den mother to the restaurant’s interesting mix of scantily-clad waitresses, constantly helping to fix their lives while her own may be disintegrating. The performances are solid and the movie has its moments of fun, but overall it’s just so-so. 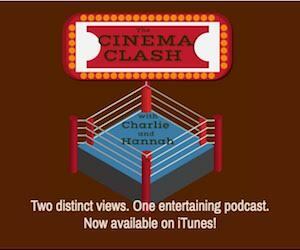 For lively debate on the films mentioned above – and more – tune in to this edition of the Cinema Clash podcast!